Postcard - postmarked July 28th, 1910. Front illustration is titled "Boardwalk and Bathing, Atlantic City." Having a gay time in Atlantic City. Will return early part of next week. Love to you and Mr. Mackey. 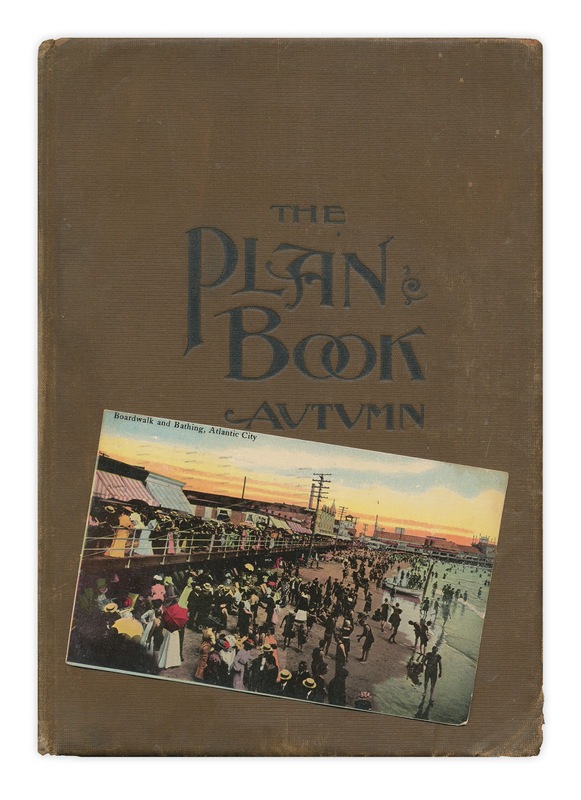 Found in "The Plan Book; Primary, Autumn" by Marian George. Published by A. Flanagan Company, 1897. 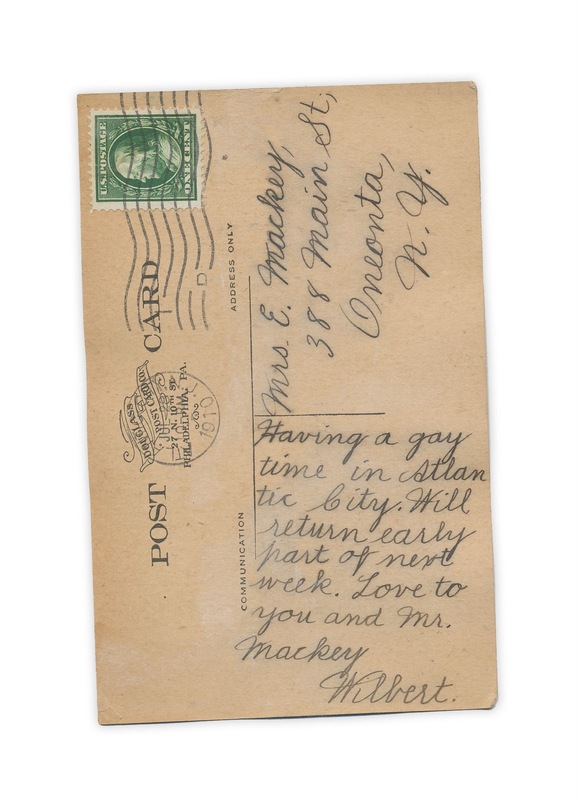 How amazing to see an almost 101 year old postcard in such good shape. Excellent find!